Having raised my children on the Central Coast, I understand the importance that environmental preservation and energy efficiency has for our community. The Central Coast is already experiencing major climate change impacts like wildfires and drought. We can save lives, property, and money when we work to proactively mitigate these increasingly destructive events. I believe we cannot afford inaction on the most significant challenge of our time. That is why I worked with my colleagues across the aisle to introduce bipartisan Water Infrastructure Resiliency and Sustainability (WIRSA) Act. The bill establishes an Environmental Protection Agency (EPA) grant program for communities on the Central Coast to improve the resiliency and adaptability of their water-related infrastructure. Natural disasters, like the one we experienced during the Montecito Debris Flow, show us the importance of building resilient infrastructure as we grapple with the effects of climate change and an ongoing drought crisis. This legislation will help provide critical support to local agencies and governments choosing to be proactive and undertaking projects that strengthen their water infrastructure’s adaptability as the impacts of climate change continue to become more severe. With the impending Diablo Canyon Power Plant closure, I am working to secure all available federal resources to help offset the economic impact of this decommissioning. With this significant challenge also comes an opportunity to designate the Central Coast a renewable energy hub, by attracting new businesses that provide good-paying jobs in our community. 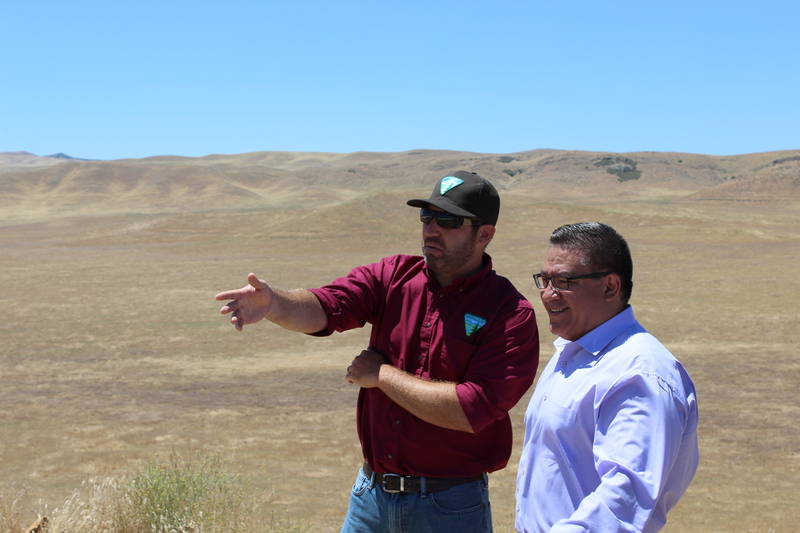 I have introduced the Energy Opportunity Zones Act to extend tax credits as well as introduce a new tax credit to encourage renewable energy business development in San Luis Obispo County. After experiencing multiple devastating oil spills off our shores near Santa Barbara, the Central Coast has been a leader in the environmental movement. It is imperative that we continue to protect our coast and oceans from the possibility of another oil spill in the future. The first bill in Congress was the California Clean Coast Act to permanently prohibit future oil and gas leasing off the coast of the entire state of California, simultaneously protect our coastal ecosystems and spurring the transition from fossil fuels to clean energy. Through my work on the House Armed Services Committee (HASC), I have supported long overdue legislation that officially acknowledges climate change is a direct threat to U.S. national security interests. It requires a report from the Department of Defense (DoD) on the vulnerabilities to military installations and combatant commander requirements resulting from climate change. In Congress, I have joined the bipartisan Climate Solutions Caucus, which is kept evenly divided between Republicans and Democrats and serves as a working group dedicated to advancing proposals that will mitigate and reduce climate change, while at the same time encouraging economic growth and job creation. I am also a member of the Climate and Environmental Justice Congressional Taskforce, Congressional Oceans Caucus, Outdoor Recreation Caucus, and Congressional Shellfish Caucus, all of which share the common aim of conservation. We must protect our environment and public health for future generations. For more information concerning work and views related to environment and energy, please contact our office.